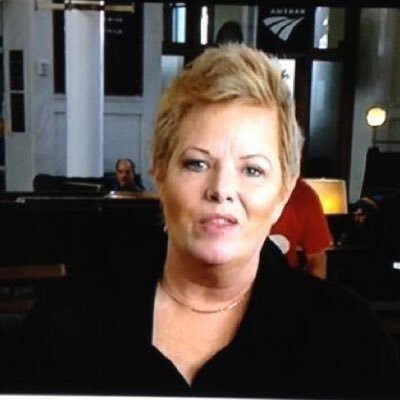 Shelley Smith is a five-time Emmy-winning reporter for ESPN, most recently for a long-form piece on blind USC snapper Jake Olson. She has covered just about every sporting event in existence, and has done many long-form features and investigative stories for a multitude of shows. A former writer-reporter at Sports Illustrated, Smith has written extensively for ESPN.com. She also has written three books – “Just Give Me The Damn Ball,” with former New York Jets and current ESPN analyst Keyshawn Johnson, “You Play to Win The Game,” with former head coach and current ESPN analyst Herm Edwards and “Games Girls Play: Lessons to Guiding and Understanding Young Female Athletes.” In 2014, she was a Hearst Visiting Scholar for her alma mater, the University of Nebraska. In 2016, She also was named Journalist of the year by Sports Illustrated (with TNTs Craig Sager) and by the Jim Murray Foundation. She also received the RainbowSports Life Beyond the Playing Field Courage Award from the Rev. Jesse Jackson and the inaugural John Saunders spirit award. She is a three-time cancer survivor and the mother of Dylann Tharp, 32, a former all Pac-12 second team defender for Oregon.